". . . there came a woman with an alabaster jar of ointment, genuine nard of great value; and breaking the alabaster jar, she poured it on his head." Then Mary took a pound of ointment, genuine nard of great value, and anointed the feet of Jesus and wiped his feet dry with her hair. And the house was filled with the fragrance of her ointment." "For the King's banquet, my nard spread its fragrance around him." 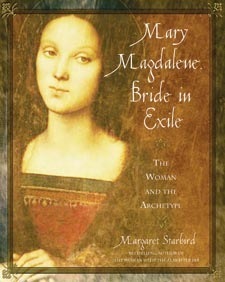 Starbird's "The Woman with the Alabaster Jar" is credited with having launched Dan Brown on his quest for Mary Magdalene, the "Lost Bride." Dan Brown, author of "The Da Vinci Code" and "The Lost Symbol"
The Christian Gospels say nothing specific about the marital status of Jesus, but the Hebrew language had no word for "bachelor" in the first century A.D., probably because marriage was a "cultural imperative" in their society. We must examine the available evidence that Jesus WAS married in light of the norms of the Jewish society in which he lived. Strong evidence from the Judeo-Christian Scriptures, including the Gospels themselves, supports rather than denies, the claim that Jesus was married. Starbird's books reclaim the "Sacred Partnership" that was at the heart of the Christian story. Her research was a major source for Dan Brown's best-selling novel, The Da Vinci Code; two of her books are specifically cited in that book. Margaret Starbird's theological beliefs were profoundly shaken when she first encountered the suggestion that Jesus Christ was married and that his blood-line had survived in Western Europe. Shocked by such heresy, this Roman Catholic scholar and former University instructor set out to refute it, but instead found compelling evidence in support of the forgotten Bride of Jesus. 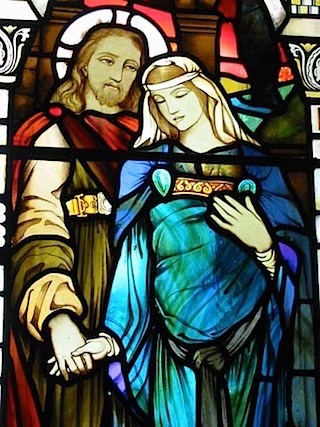 Starbird's research traces the origin of the heresy of the Holy Grail, whose medieval adherents believed that Jesus and Mary Magdalene were married and that his wife and child emigrated to Gaul, fleeing persecutions of the Christain community in first-century Jerusalem. Numerous legends, works of art, and artifacts of medieval Europe clearly reflect a widespread "alternative Christian story" brutally suppressed by the Inquisition from the mid-13th Century. The heresy survived in an underground stream of esoteric wisdom guarded and passed down by generations of artists, artisans, poets, and alchemists. for more informations about each book, click the menu tab "Books"
A real treasure trove of esoteric symbolism and lovely original art!